The 2nd NJ Brigade’s Board of Trustees created The Medal of Merit to be awarded to members of the organization embodying the legacy of our captain and charter member, Lou Kaufer, who demonstrated a life of service and dedication beyond the call of duty through his kindness, diplomacy, leadership, and love of history. The recipients of this award have culminated a lifetime achievement in selfless service to the brigade, educating/mentoring both new members and the public, prescribing to the highest level of authenticity, and promoting upstanding citizenry both in and out of the hobby. 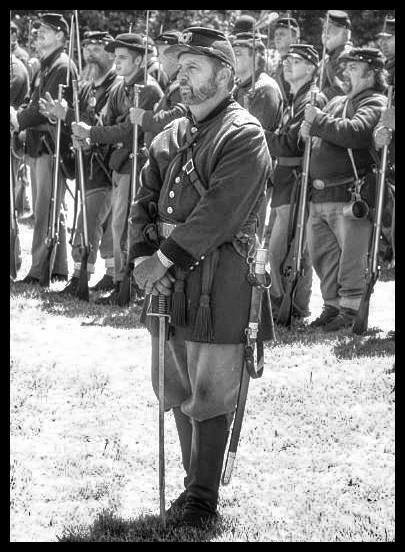 Like Captain Kaufer, they epitomize our creed: NJ Civil War Preservation, Dedication, Family.